Not only does the Greyhound hold the record as the fastest dog breed, able to reach speeds as staggering as 40 miles per hour, they also have a somewhat “cat-like” and docile personality that can almost be described as lazy. It may seem odd for the fastest breed of dog to have such a laid-back and easy-going temperament, but if you are in the market for essentially a giant lap dog, then this might be the perfect match for you. With that being said, do keep in mind that no dog is going to be “low-maintenance” when it comes to basic needs and wants. This breed does best with an experienced dog owner due to their timidness and sensitivity. Proper socialization and training is necessary with this breed of dog, and they also need a calm, but strong-minded owner with a sense of natural authority. This should all be considered and kept in mind when considering this, as well as any other breed of dog, in general. A key thing to remember is to never let your dog walk off-leash, no matter how much training they have had. The drive they have to chase is very strong, and they will go after essentially any little thing that runs fast. With Greyhounds being the fastest dog breed in the world, you do not want to be in a situation where your dog is off-leash chasing a rabbit, and not coming back to you when you call him/her. This being said, it is not the best idea to bring one of these dogs into a house with any type of small rodent or any other little furry pet. They can be trained to not pursue your pets at home, but it is safer to not have them in the house at all. Greyhounds can be trained to do well with children, as long as there is an overall calm environment. Your pup will not be completely comfortable with loud and rowdy kids that make sudden movements to pet your dog. Keep in mind that Greyhounds are big lap dogs that love to be lazy, therefore lazy-type environments are where they are going to feel more at home. This makes them suitable for apartment dwellers, and are actually said to be better in apartments than smaller dogs. Greyhounds love regular routines, especially when it comes to their exercise. They don’t need an excessive amount of daily exercise, but they would be very pleased with a fenced in yard where they could freely run around. Long and brisk walks are another favorite for these guys. While walking your dog, make sure you have them heel by your side, and you are walking them not visa versa. This reminds your dog that you are the authority figure and that they should respond to you. We already know that the Greyhound is the world’s fastest breed of dog, but did you know that they are also one of the most ancient breeds known to man? This amazing dog can be traced back to nearly every single country on every single continent across the globe. In addition, they are the only breed of dog that was mentioned by name in The Bible. Historians found that there were carvings of dogs resembling this breed in old Egyptian tombs that date back all the way to 2900 B.C., further confirming their primeval origin. The Romans used them for “coursing”, which is the sport of chasing hare, and also where they get the strong and instinctual prey drive that you can still see today. 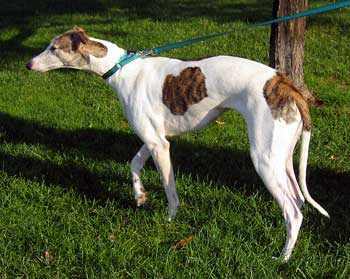 America was introduced to the Greyhound breed in the 1500s, after they were brought over by way of Spain. In the states, they gained popularity during Colonial times when farmers of the Midwest utilized them by having them chase off jackrabbits that were destroying their crops. You will find that Greyhounds hold yet another title for being one of the first breeds to ever be in a dog show. 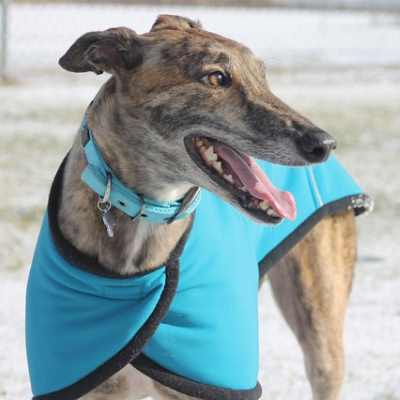 Greyhounds were originally bred to chase prey, and then continued to fill that role over the years, which is why there is no ignoring said quality when it comes to this breed in modern day. These guys have a very keen eyesight that aids them during their chase. Along with sharp vision, Greyhounds were favored for driving prey away because they were able to chase the prey until they caught them, and they didn’t have to stop to rest. These two stand-out qualities allowed them to excel and thrive at what they did back then. In today’s world there are in fact two different types of Greyhounds being bred. One type is the standard textbook type, and like any other breed, these guys will conform to breed standard and be more show line. The other type, however, are bred for racing; living at tracks similar to what you might picture when you think of horse races. These poor guys would often leave the racing life very torn up and worn down due to the poorly maintained living spaces they were forced into when they weren’t racing or training. This is also the reason that Greyhound racing is illegal in many states. 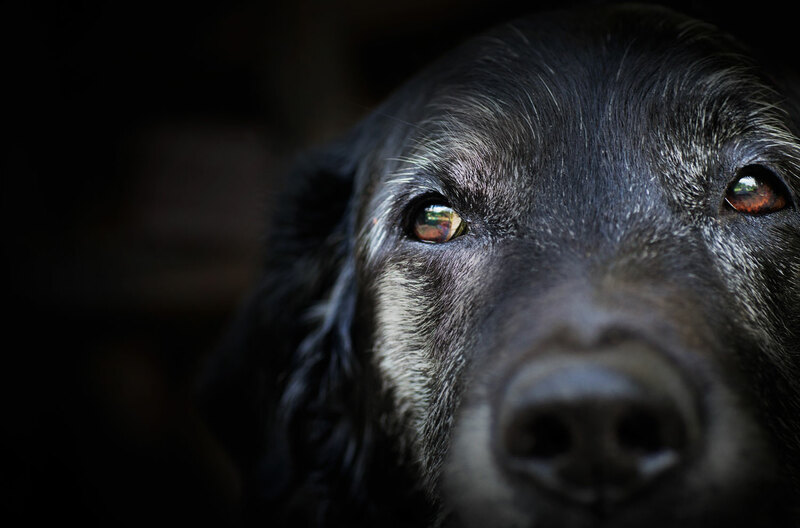 Fortunately, when the dogs were ready to retire, there were many organizations that took the weathered dogs in and helped rehabilitate them and find homes for them. These organizations helped improve the status of the breed and promoted their popularity in more recent times. The breed, however, has been recognized for well over a hundred years, being officially recognized by the American Kennel Club in 1885. Today, they are AKC's 152nd most popular breed. 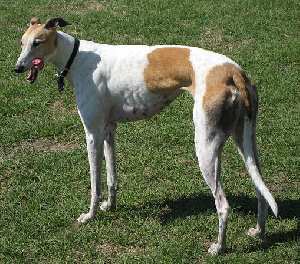 Greyhounds come in many different colors and variations, having 15 colors and 4 markings recognized by the American Kennel Club. You are not going to want to raise and train a Greyhound if you are a novice dog owner. They aren’t necessarily “stubborn” or “disobedient” when it comes to training, but since they are such sensitive dogs, they will feel much more comfortable with someone who knows how to show strong mindedness and be assertive, but also use the proper tone and volume of voice while doing so. Greyhounds are very intelligent, and if they feel as if they are stronger minded than their master, they will not listen or cooperate because they are smart enough to know that they can get away with that. These guys need an owner/master who is stronger minded than them, as well as consistent and patient throughout the entire process. They are quite sensitive to the tone of voices, and do not respond well to harsh discipline. The master should possess natural authoritative quality, which should be displayed, but through calmness. Patience is absolute key when training these guys. 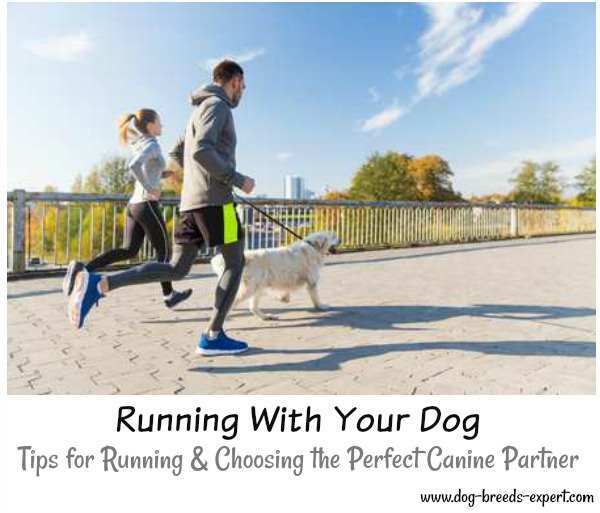 Although it seems very precise and ticky-tacky, once you find that perfect middle ground that gets your dogs attention while being calm as well, as long as you are consistent with training, you should not be given too much trouble or resistance. Socialization is also something that is going to be very important when owning a Greyhound. You will want to start socializing your dog to as many things as possible as soon as you can; the earlier the better. These dogs are naturally reserved and sensitive, especially to new people, places, and experiences. Early socialization will help your pup be more comfortable and at ease when meeting new people or going somewhere they have never been. Once your Greyhound knows that they can trust you and that you are their family, they will start to feel more at home and you will be left with an extremely devoted, loving, loyal, furry friend. Greyhounds have a smooth, short coat, making them a breeze to groom. This dog is an average shedder, and apart from occasional brushing and bathing when necessary, grooming is not going to be a major concern in the slightest. Make sure you are not neglecting to regularly check your pup’s nails, eyes, ears, teeth, and paw pads for anything unusual or abnormal. It should be a given with any breed to be sure to maintain general hygiene to keep your dog both happy and healthy. 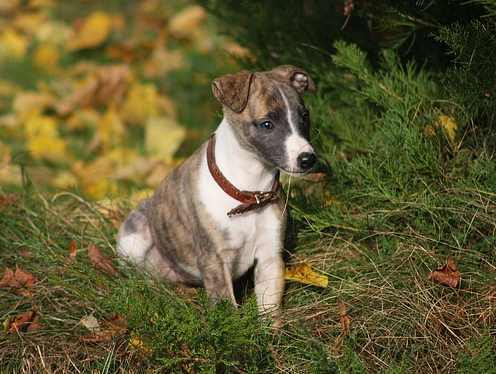 Since Greyhounds have such short, thin hair, depending on your location, it is recommended to keep your pup in a sweater or jacket, especially when going outside with them. This is generally a pretty healthy breed when it comes to major health concerns. Not a single breed will be one hundred percent immune to related health risks. The only very serious major health concerns to be aware of are gastric torsion and bloat, which can actually be fatal. 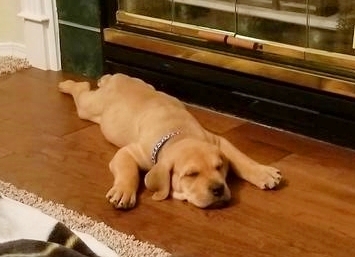 It is critical as a dog owner to familiarize yourself with the symptoms, that way you will know if your pup is starting to display any of them. Keep in mind that this is the fastest breed of dog in the world. Therefore, torn muscles, ligaments, tissues, etc., are not uncommon, in addition to potential damage to your dog’s paw pads. As long as you are keeping good tabs on your dog and are familiar with the symptoms of gastric torsion or bloat, you won’t have to worry too much about your dog's health. Make sure that if you suspect anything wrong or out of the ordinary with your dog, you contact your local veterinarian as soon as possible, just in case. It is always better to be safe than sorry, especially when it comes to the health of “man’s best friend”. Bloat is a life threatening condition where the mortality approaches 50 percent. Bloat refers to two separate conditions. In Gastric dilation, the stomach fills with gas and fluid. The other is volvulus where the distended stomach rotates or twists causing the spleen to rotate also. This twisting causes the gas and fluids to become trapped in a closed off stomach. This leads to dehydration, bacterial septicemia, circulatory shock, cardiac arrhythmia, gastric perforation, peritonitis and death. Large dogs with deep chests are the most frequently affected. This condition usually comes on if the dog ate a large meal quickly, exercised before or after eating or drank a large amount of water just after eating. Avoid strenuous exercise before and after eating. Do not allow the dog to drink large amounts of water at one time. We recommend this Anti-Gulping bowl. Restrict water intake after meals for one hour. Do not feed dry foods that has fat as one of the first four ingredients. Divide the daily food into 3 meals spread out through the day. Raised food bowls are no longer recommended as a way to avoid bloat.